The UK faces gridlock on the roads and ever-worsening air quality unless the Government tackles the ‘three Cs’ – "Congestion, Capacity and Carbon" – Lord Adonis warned today. The chair of the National Infrastructure Commission told this morning’s BBC Radio 4’s Today programme that the Government should "invest in cycling". This is in addittion to upgrades to rail and road infrastructure as well as improvements to broadband delivery and water supplies. Adonis argued that the current state of the country’s infrastructure could hold the UK back – and that a long-term plan is needed to ensure that it is fit for the future. He was speaking as he launched the interim findings of the National Infrastructure Assessment. Two days ago Adonis said that "cycling facilities" were a "critical part of national infrastructure." The need to invest in cycling infrastructure was featured in today’s National Infrastructure Commission press statement as well as a "Priorities for National Infrastructure" document. This document calls for more "alternatives to the private car, upgrading and expanding rail and metro systems, better facilities for cycling and walking and improved bus networks." It also calls on cities to "consider how to allocate road infrastructure as efficiently as possible," using more road space for higher capacity modes, such as cycling and walking as well as buses and light rail. "New public transport, cycling and walking infrastructure is vital to tackling urban congestion and promoting healthy growth," added the document. "The National Infrastructure Commission rightly calls for more investment in high-quality cycle networks. Investing in more monster motorways would only worsen the congestion and pollution which is throttling our towns and cities. Instead we need a massive shift of transport funding priorities towards simple local solutions. 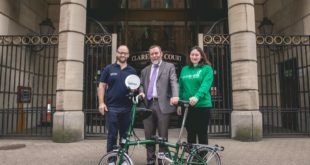 He added: "“Good cycle schemes are an incredibly cost-effective way to deliver clean air, safe streets, people-friendly town-centres and the freedom for young and old alike to get around easily without relying on cars. It’s a magic cure for so many ills, and Ministers really need to prescribe it for everyone’s benefit." The National Infrastructure Commission provides the government with impartial, expert advice on major long-term infrastructure challenges – it was created in 2015. The commission’s first report, while lauding cycling, identifies the "most serious infrastructure failing of all" as the "endless delay to a Parliamentary decision" over building a third runway at Heathrow Airport. 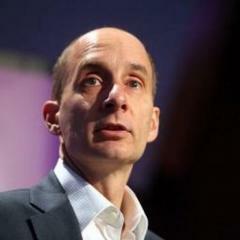 In 2009, when he was transport secretary – in a Labour administration – Lord Adonis launched the "Cycle to Work" salary sacrifice scheme. And, earlier this year, he tasked Andrew Gilligan, former Cycling Commissioner for London, to replicate his work in Cambridge, Milton Keynes and Oxford. While BBC Radio 4’s Today programme carried Adonis’ comments about investing in cycling, the BBC online news story on the National Infrastructure Commission’s report fails to mention cycling. Journalists on Sky News and the Financial Times also edited out the mention of cycling, which was included in the commission’s press release. However, the inclusion of cycling was not edited out by the Daily Mail. Go figure.